A new version of the monoplane was described and illustrated in Flight 24 June 1911 (p.542-545) and was reported to be undergoing trials at Eastchurch. The wing was of similar type to that used earlier on Capper's monoplane, but the fuselage structure was considerably changed. The main tubular structure was built of two vertical frames 9ft 6in apart, with cross members between, on which an open wooden structure housed the pilot, tanks and engine. The wing was attached to the four vertical members of the frame, which extended above to form kingposts for the bracing wires. The radiator was mounted vertically above the centerline. The machine was a single-seater and was built by Short Bros. 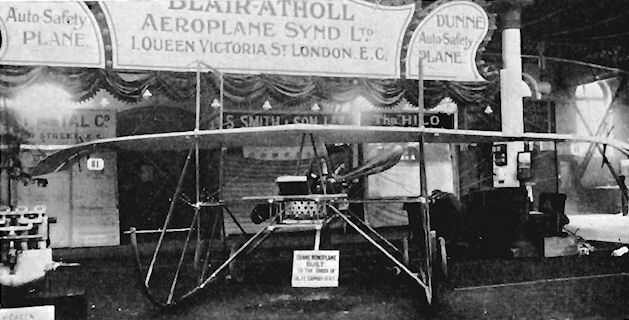 This lighter and smaller machine was exhibited incomplete on the stand of the Blair Atholl Syndicate in March 1911 at the Aero Show at Olympia, placarded as being built to the order of Col. J.E. Capper. The general configuration was similar to the D.6, whose appearance it preceded. It was a reconstruction of the Dunne-Capper monoplane by Short Bros., with Fairey acting for the Blair Atholl Syndicate. Capper had decided in February that his machine should be modified and it was still being worked on when the show opened on 24 March 1911. The D.7. was tested in June 1911 at Eastchurch and was still airworthy in the early part of 1912. 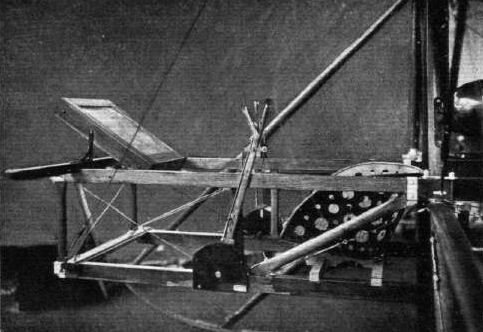 On 12 January 1912 Dunne flew the machine to demonstrate its stability to Alec Ogilvie and T. O'Brien Hubbard of the Aeronautical Society, during which he wrote a note while the aircraft was flying 'hands-off at 60mph. Power 50hp Gnome seven-cylinder air-cooled rotary driving a pusher propeller. This was the conversion of the original D.6 to a two-seater with air-cooled engine. It followed the general configuration of the earlier machine but had an additional flap, centrally mounted to improve pitch control. Power: 70hp Gnome seven-cylinder air-cooled rotary driving a pusher propeller. Following the successful flights at Eastchurch of his D.5 tailless pusher biplane in 1910, Lt. J. W. Dunne embarked upon the design of a new tailless monoplane. 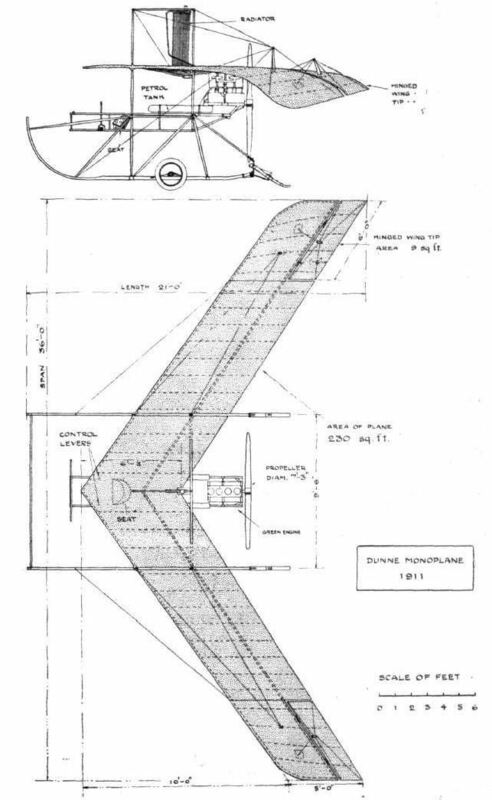 The wings were set high in the parasol position, and the D.6, as it was designated, was derived from the model monoplane which Dunne had submitted in support of his original proposals to the War Office in 1905. These were refused, and he was persuaded to adopt, instead, the biplane form, a decision which, he stated many years later, he felt to be correct in the light of subsequent experience. The same form of sweptback wings was employed as in the earlier aircraft built, but some minor modifications were incorporated. The degree of sweepback was increased slightly, and an interesting innovation was the alteration of the camber of the wing section which changed continuously from the leading-edge at the roots to the trailing-edge at the tips. Also in the interests of inherent stability, the wing-tips were the subject of pronounced wash-out, and their final few feet curved sharply downwards outboard of the centre of the ailerons to provide side area in the absence of fins or rudders. The wings were above an open wooden framework which formed an uncovered fuselage carrying the single seat at the front, with the 60 h.p. Green engine and its 7 ft. 3 ins. diameter propeller at the rear. The water radiator was fitted vertically above the centre-section in an effort to keep the centre of gravity as high as possible. The entire machine was supported in a horizontal position on an undercarriage comprising two pairs of wheels combined with long, curved skids, at the rear of which were fitted shorter, sprung, shock-absorbing tail-skids. The ailerons, which operated either as elevators or rudders, were controlled independently by two levers from the pilot's position. The D.6 was built by Short Brothers under the sponsorship of the Blair Atholl Aeroplane Syndicate, and the test flying was carried out by Dunne himself, who concentrated on the experimental flight trials of the D.6, the D.7 and the D.7bis from 1911 until mid-1913, surviving four major crashes during the process. 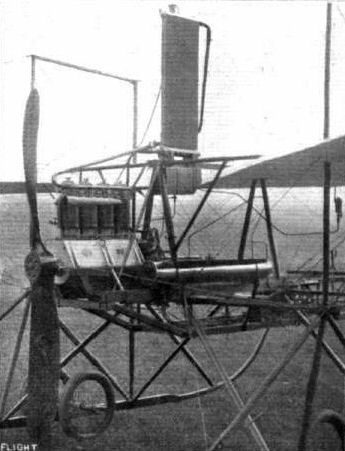 N. S. Percival made two attempts to fly the D.6, but was not successful with it. Col. J. E. Capper was interested in the design and ordered for himself a slightly smaller 50 h.p. Gnome-engined single-seat version, which was designated the D.7 Auto-Safety and was ready for display at the 1911 Olympia Aero Show. The span was 35 ft. and the wing area totalled 200 sq. ft. Empty and loaded weights were 1,050 lb. and 1,409 lb. respectively, and a 60 m.p.h. maximum speed was achieved. During June, 1911, the D.7 was put through its tests at Eastchurch, Isle of Sheppey, and on 12th January, 1912. Dunne flew the machine before Alec Ogilvie and T. O'B. Elubbard without, for a period, using either his hands or feet on the controls. In 1912, the original D.6 single-seater was converted into the D.7bis two-seater and was given the extra power of the 70 h.p. Gnome engine to cope with the additional weight. The wing was remodelled to match that of the D.7, with a span of 35 ft. and an area of 200 sq. ft. The machine weighed 1,200 lb. empty and 1,728 lb. loaded, and had a maximum speed of 60 m.p.h. Description: Single-seat tailless pusher monoplane. Wooden structure, fabric covered. Manufacturers: Short Brothers, Leysdown, Isle of Sheppey, Kent. Power Plant: 60 h.p. Green. Dimensions: Span, 36 ft. Length. 21 ft. Wing area, 230 sq. ft.
DUNNE. The Blair Atholl Aeroplane Syndicate, Ltd., 1, Queen Victoria Street, London, E.C. School: Eastchurch. In 1906 Lieut. Dunne was employed by the British Army authorities for secret aeroplane experiments. He had at that time patented a monoplane of arrow type. In 1907 Dunne I was tried on the Duke of Atholl's estate in Scotland, but failed to fly, being smashed on the starting apparatus. 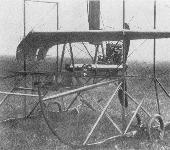 Dunne III, a glider, 1908, was experimented with successfully by Lieut. Gibbs. In the same year Dunne IV, a larger power driven edition made hops of 50 yards or so. Early in 1910 the War Office abandoned the experiments. Dunne II, a triplane of 1906 design, was, by consent of the War Office, assigned to Prof. Huntingdon, who made one or two short flights with it at Sastchurch in 1910. At the same time the above syndicate was formed, and Dunne V, built by Short Bros., was completed in June, 1910. In 1912-13 the Huntingdon, modified, was flying well. Notes.--Biplane D 8 is identical with the original pattern Dunne V, except that it has only one propeller instead of two. It has been flown completely uncontrolled in a 20 m.p.h. wind, carrying a R.Ae.C. observer as passenger. A monoplane that is altogether in a class by itself is the Dunne, which is, so far as practical flying machines are concerned, an evolution of the Dunne biplane. The biplane was in itself, however, originally evolved from still earlier monoplane models. A characteristic feature of this machine is the absence of a tail and the V-plan form of the wings, which also have a varying angle of incidence from root to tip. The object of the design is the acquisition of natural stability, and the purpose of sloping back the wings is to acquire an overall length for the machine as distinct from the chord dimension. This increment in length virtually introduces the principle of a tail, and the change in the angle of incidence throughout the succeeding sections of the wings confers the principle of the dihedral angle on the relative attitude of the virtual tail portion in respect to the central leading portion of the machine. WITH SPECIAL REFERENCE TO THE DUNNE MONOPLANE. Among the monoplanes, that which will probably attract the greatest interest among our readers is the Dunne, for all will recollect what a number of interesting features the Dunne biplane, which we described some time ago, possessed. The Dunne monoplane, like its prototype biplane, is designed to possess natural stability, and is tailless in the ordinary sense of the term. In principle, however, the V-plan form of its wings gives it two tails instead of one, and the hinged flaps in the trailing extremities of the wings provide it with two elevators instead of one. These flaps are under independent control, and serve the purpose of steering the machine horizontally and vertically. The principle of stability associated with the Dunne monoplane is somewhat complicated, and has to do entirely with the special formation of the wings, which are generated on the surface of a cone. This is not the place in which to go into precise details of this method, which is fully described in our article on the Dunne biplane; but it will be interesting to those familiar with that description to be told that the apex of the cone is altogether in a different place, being situated, on the monoplane, a little way behind the trailing extremity of the wing and more or less directly in line with the outside edge. 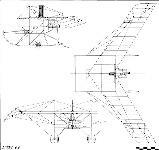 This formation of the wing gives a variable angle of incidence from shoulder to tip, which, in conjunction with the V-plan form, confers on the machine the principle of the fore-and-aft dihedral angle, which is one of the accepted methods of obtaining natural stability and is a characteristic feature in the design of all successful aeroplanes. Owing to the wing extremities being situated in an exposed region and not sheltered behind the middle portion of the plane, as is more or less the case with the tail of an ordinary aeroplane, Mr. Dunne claims that their tail effect is enhanced. Also the same argument applies to the efficacy of the dihedral angle, because, owing to the formation and continuity of the wings, it is impossible to define what part constitutes main plane and what part tail. That in fact the relative functions of these members are performed by different parts of the wings in accordance with the requirements of the moment. 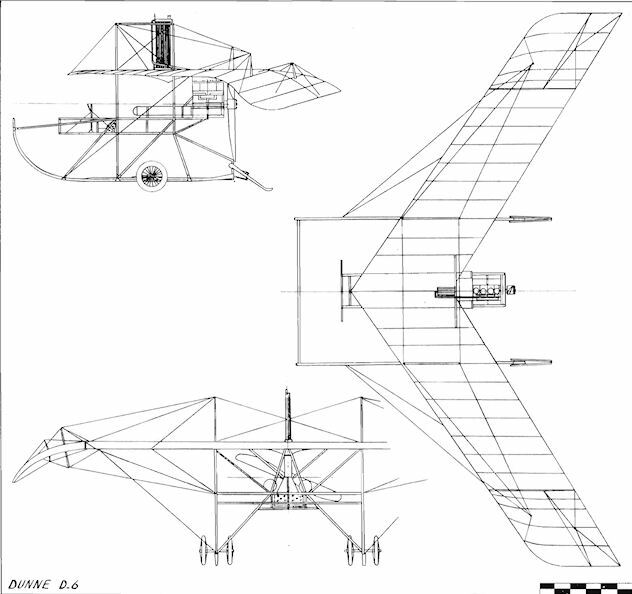 Lateral stability in the Dunne monoplane is somewhat more difficult to explain, but that which is the most significant feature in the design is unquestionably the fact that the wing formation provides down-turned wing tips as distinct from the upturned wing tips on such monoplanes as the Handley Page and Weiss, which are also designed more or less with a view to natural stability. It will be noticed, of course, that it is the leading edge of the Dunne monoplane that is turned down, whereas in the Handley Page and Weiss monoplanes it is the trailing edge that is turned up, so that the relative positions of the leading and trailing edges in all three machines are identical. On the other hand, it will be observed that there is a very material and fundamental difference in principle between the two methods, for whereas in principle the upturned trailing edge represents the lateral dihedral angle, the down-turned leading edge represents the gull's wing, which is an accepted method of obtaining lateral stability in side gusts. The general action is as follows: A side gust ordinarily lifts that side of the machine against which it first strikes, because of the aeroplane action of the planes considered in their attitude towards the gust and the consequent travel of the centre of pressure towards the virtual leading edge facing the gust, which involves an actual travel of the centre of pressure laterally from the real centre of gravity of the machine. Thus the machine cants over and the upset is emphasised with the dihedral angle, because the upturned wing offers an increasing surface for the more effective surface to the gust and tends to counteract the lift due to the travel of the centre of pressure on the remainder of the plane. It is, in principle, little more or less than this idea which was tried by the Wright Brothers in some of their early gliding experiments. 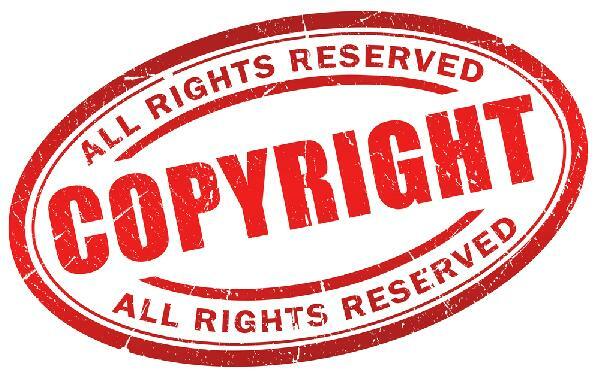 Like most things of this kind, however, there is all the difference between the broad principle and the detail of carrying it into effect on a practical machine. It is the detail that makes the Dunne monoplane such an original design. As our readers are already thoroughly familiar with the general features of the Dunne system from our description of the biplane in FLIGHT, June 18th, 1910, it is unnecessary to make any elaborate reference to the monoplane that is now undergoing its trials at Sheppey. This machine, as a glance at the accompanying illustrations shows, has the same general type of wings, but a point that will escape casual observation is that the camber of each is generated on the surface of a cone having its apex in the vicinity of the trailing extremity, whereas it may be remembered that the generating cone used in connection with the wings of the biplane had its apex in the vicinity of the prow of the machine. The meaning of this reference to the generating cone will be understood by those who read our description of the Dunne biplane, but for the sake of those who are unfamiliar with the principle, we may briefly explain that the characteristic feature of the Dunne wing formation is that the camber changes from point to point between shoulder and tip. This change takes place both in camber and attitude (angle of incidence) and is gradual in character; it is represented by the change of curvature on the surface of a cone arranged in a special way with respect to the setting of the wings. For a complete explanation of this particular point, however, we must refer our readers to our above mentioned article. Since the tips are set back behind the shoulder, owing to the V plan form of the wings, the change in angle between shoulder and tip introduces the principle of the longitudinal dihedral. In order to render this clear it is convenient to imagine that the middle section of each wing is removed. In this case the extremities form two tails at a negative angle in respect to the leading main plane. In practice the extremities act as tails, and being out of the influence of the draught of the propeller they do not tend to disturb the balance of the machine if the propeller stops in flight. As to where the tail portion begins and the main plane ends, it seems impossible to say, for it seems only reasonable to suppose that the dividing line varies with circumstances. Provided that it moves in the right direction, this differential action is, of course, all to the advantage of the natural stability of the machine. Natural stability is the great aim, we might almost say the raison d'etre, of the Dunne aeroplane, and, so far as the longitudinal stability is concerned, the simple principle of the fore and aft dihedral is apparently a sufficient explanation of the system. In many modern machines the principle of the dihedral is also used for lateral stability, but in the Dunne machine this equilibrium is arranged in a different way. As a glance at the accompanying illustrations shows, the wings are arched rather than upturned, and it is therefore to the principle of the gull's wing, and not to the dihedral angle, that the lateral stability of the machine is due. Unfortunately, this principle does not lend itself to any very precise explanation, but as a general description it may be pointed out that the down-turned extremities are so arranged that if the relative wind veers from an initial position, which may be assumed to be in the line of flight, the near wing will be partially shielded and may even have a downward pressure on its extremity. Simultaneously, the downturned extremity of the far wing will be more exposed and will thus exert a greater lifting force at its full leverage. The first tendency of the veering wind is to lift the near wing, owing to the improved aspect ratio of that wing and to the diminished aspect ratio of the far wing, which is also possibly shielded somewhat by the body of the machine; it is this disturbing force that is counteracted in the manner just explained. As the equilibrium of the machine depends on the nicety with which one force just balances another it can be understood that the exact design of the wings is rather a difficult matter. It will be observed, from what we have said, that the disturbance and correction thereof are simultaneous and are both brought about by the relative wind itself, without change in the position of the machine. In the theory of the dihedral angle, the machine is assumed to heel over in order to obtain a righting force. This difference in the actions of the two types of machine seems to draw a line between two types of stability, which may be described as "stiff" and "rolling." The Dunne principle belongs to the former, inasmuch as the machine is not supposed to be actually moved at all by the disturbing influence. From a constructural point of view, the Dunne monoplane is mainly interesting on account of its dissimilarity in general appearance to any other well-known type. The wings form a canopy over the pilot, who is seated in the bows of a shallow body that carries the engine at its after end. The propeller revolves immediately behind the V of the wings, and its axis is, of course, in line with the centre of gravity of the machine. Above the wings is the radiator, which is placed there principally to raise the centre of gravity as high as possible. 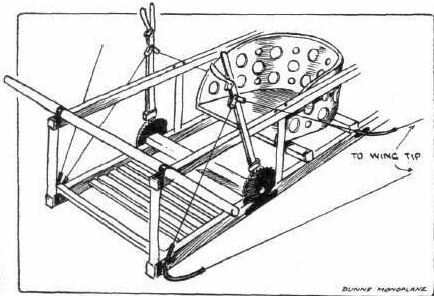 The entire machine is carried on a simple wheel-skid under-carriage. The control of the machine is effected by two levers, which are quite independent, and control the hinged wing-tips in the trailing edges of the planes separately. These flaps serve the dual purpose of elevator and rudder, for when they are both moved simultaneously in the same direction they alter the attitude of the machine, and thereby cause it to climb or descend; but when moved in opposite directions, or when one of them is moved alone, it is equivalent to rudder action, because it alters the resistance to motion and thus tends to accelerate or retard that extremity of the plane, so that the machine alters its course. THE DUNNE MACHINES IN FLIGHT. WE publish this week, two or three photographs taken by Miss Dunne of her brother's machines at the Royal Aero Club's Eastchurch flying grounds. Everyone will rejoice to hear that Mr. Durme has recovered from his very serious illness, and is now back at work again. Not only is Mr. Dunne himself flying at Eastchurch, but Capt. Carden, R.E., as our readers know, has been making the best sort of progress, passing for his brevet last week, and Capt. Carden, as some of our readers may not know, has the misfortune to have lost an arm, wherefore his practice with the Dunne machine is worthy of very special attention. Two of the photographs show the biplane in flight, and both illustrate very clearly the V plan of the wings, from which, in conjunction with the peculiar variation in camber from shoulder to tip, is derived the high degree of natural stability that this flyer has always claimed to possess. It has flaps at the extremities of the main planes, but these are for the purpose of steering and elevation only; they are independently operated by separate levers, one on each side of the pilot, which adds to the significance of Capt. Carden's performances. The monoplane, which is illustrated with Mr. Dunne in the pilot's seat, is built on the same principle as the biplane, but the absence of the lower plane gives it a very extraordinary appearance. We have heard other pilots describe the flying of this machine as revolutionary, and certainly it may be taken for granted that the Astra Co. of France would not have taken up the French rights and be making preparations for building these machines in their own country if they did not think a great deal of them. In the early days of motor cars, it will be remembered, all the good things came from France in the first instance, but the tide turned at last. Let us hope that it may do so in aviation, and long may men like J. W. Dunne, who are devoting the best of their lives to the cause, be spared fully to achieve the ends they have in view. Dunne D6 monoplane built by Short Bros, at Leysdown in 1911. Three-quarter view of the Dunne monoplane from in front. Side view of the Dunne monoplane. Three-quarter view of the Dunne monoplane from behind. Rear view of the Dunne monoplane. Front view of the Dunne monoplane. UNDERCARRIAGES AT OLYMPIA. - The Dunne. Dunne D7bis monoplane was a reconstruction of D6 converted to a two-seater with air-cooled engine. 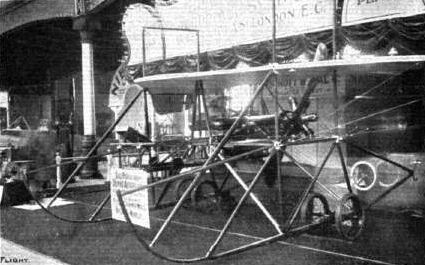 Dunne D7 Auto-Safety monoplane was a smaller version of D6 built for Col. Capper and here seen exhibited at the 1911 Aero Show at Olympia. Engine and propeller on the Dunne monoplane. The control levers, pilot's seat, and map case on the Dunne monoplane. Sketch illustrating the pilot's seat and two control-levers on the Dunne monoplane. THE DUNNE MONOPLANE, 1911. - Plan and side elevation to scale.